Now that just about everyone on Earth is using social media, today’s web marketer has to know how to use this wellspring to make the most of profit and gain. 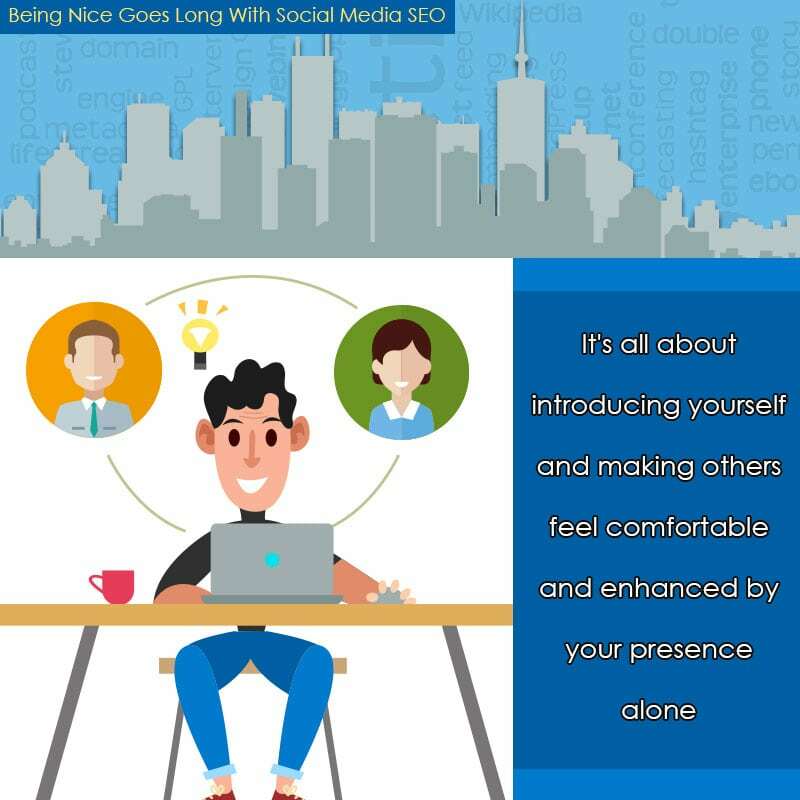 There are all kinds of gurus out there with tips, courses, and other nonsense but the bottom line is learning social media for marketing calls for getting a professional to set up your campaign infrastructure but also on how to conduct oneself for better gains. First thing is that social media is a volatile ocean of opinions and so on. People love to argue and fuss, and even though it’s chaotic it still generates immense traffic, and when optimized it can turn into enormous profits. The big boys know this all too well. They hire specialists for every aspect of social media but they sometimes forget one important thing: It’s best to smile and make friends, then lose sales due to antagonism. People don’t like to be attacked. It’s a human frailty that we fall all to pieces when our options and choices become invalidated. Trolls are best at this, and they can ruin a message board or blog or newsfeed. If you’re drumming up business this si the one thing, you must always avoid. Remember the adage that you get more with honey than vinegar. This holds true for people who read your posts and how you respond to them and other people’s posts. Let’s say you’re on a popular blog or message board or social media page and the topic of the site is about plumbing. You own your own plumbing company, and you’re trying to drum up business interest. The first thing you don’t do is blab about your business in a spammy manner. Instead, you segue’ into each conversation with a friendly demeanor and helpful nature. As you become one with the pack, people will depend on your valued opinion, and that’s when you’ve got them on the hook. You don’t need to post your URLs but in some cases you can. You can get lots of headway via messages, but the search engines won’t list those. Instead, make posts that have images that are helpful that have your business info tagged in them. This, the search engines will pick up. Don’t ever contradict the moderators or owners of the site and don’t piss off long-term members. Instead of correcting them, just add that you’ve had a similar situation and you handled it easily. For example, let’s say you own a home or office decorating business. The forum venue you’re on has people debating the best furniture to buy and how to place it. Well, you join in and mention how your customers really enjoyed how you decorated their offices and how you had a big party afterward. You might post a pic of you all partying. People love that kind of stuff and will recognize you as someone who is business savvy but also real and professional about what you do. Customers can’t have pride in you if you’ve no pride in yourself. It doesn’t mean being boastful, but complimenting yourself and complementing others. Look for things that are familiar. If someone posts their decorative skills, salute them and say how you wish you had someone on your staff like them. Ask them to review your skills which gives you the opportunity to show off some pics and vids. Even if the venue of the site you’re on isn’t in your niche, you can gain ground. You might be on a popular national sports team site and you mention how you would love to decorate the top players’ homes. People will ask how and that’s when you show off. It works great with maintenance services and foods and entertainment. If you have Dj service, you’ll find tons of people willing to listen to you and comment. It’s all about introducing yourself and making others feel comfortable and enhanced by your presence alone. Once you have a reputation for being the friendly go-to person, even negative reviews will bounce off you like a force field because others will come to your defense automatically. Little by little you’ll be building up inbound links of an organic nature, and the rest is gravy. Companies like Local SEO Tampa are experts at this. Making friends and fans is a key to expansive social media SEO and other forms of SEO. They can get you started and get your campaigns smoothly running for a long time to come.